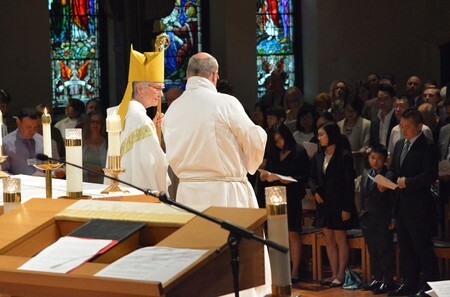 Confirmation in the Anglican Church marks the point in our life when we affirm and strengthen our commitment to Christ that we made at baptism. Preparation for Confirmation is arranged with our Vicar and usually involves ten sessions organized with the candidates being prepared. For more information or questions about the confirmation process, please contact the office. Once a year Archbishop Melissa Skelton confirms candidates from all the Parishes at Christ Church Cathedral at an annual diocesan event.